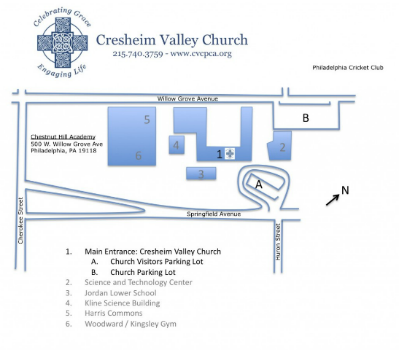 Cresheim Valley Church meets at the Springside-Chestnut Hill Academy Chapel at 501 W Springfield Ave in Chestnut Hill. 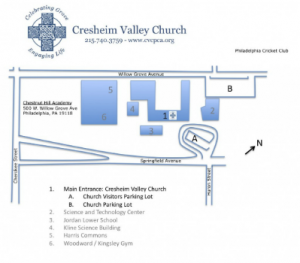 Sunday School begins at 9:00am and our worship service starts at 10:25am. 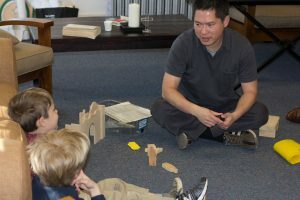 There are nursery and children’s programs for both Sunday School and church. 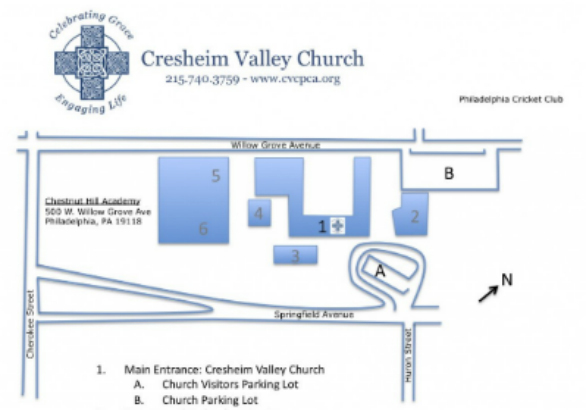 Parking is available off of both Springfield Ave and Willow Grove Ave. First time visitors and handicap parking is available near the entrance off of Springfield Ave. 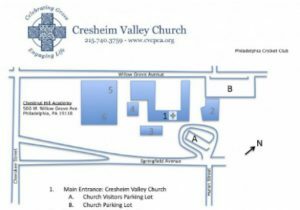 The main entrance to our facility is on the Springfield Ave side of the building. There are signs and greeters who will direct you to the chapel.